Kristy Bernardo’s first two books have sold nearly 35k and she is back with her third, this time focusing her knack for creating unique, delicious and easy meals on the popular keto diet. This low-carb, high fat diet is great for losing weight, but this style of cooking can seem restrictive, repetitive and time-consuming. Kristy keeps keto fresh with exciting, varied recipes that come together quickly so busy readers can stick to their health goals without spending too much time in the kitchen. This collection of healthy, tasty recipes is designed to get dinner ready in record time. Whip up meals everyone can enjoy like Pickle-Brined Fried Chicken, Stuffed Portobello Mushrooms or Pulled Pork Chili. Pour a comforting bowl of Lemon Chicken Soup with Cauliflower Rice or wow a crowd with Maple-Mustard Pork Ribs. Kristy makes it simple to put a satisfying, wholesome meal on the table any night of the week. 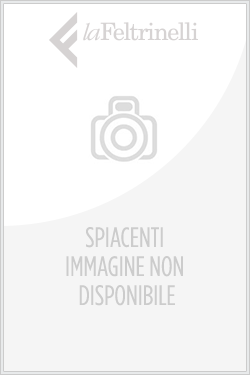 Acquista Weeknight Keto in Epub: dopo aver letto l’ebook Weeknight Keto di Kristy Bernardo ti invitiamo a lasciarci una Recensione qui sotto: sarà utile agli utenti che non abbiano ancora letto questo libro e che vogliano avere delle opinioni altrui. L’opinione su di un libro è molto soggettiva e per questo leggere eventuali recensioni negative non ci dovrà frenare dall’acquisto, anzi dovrà spingerci ad acquistare il libro in fretta per poter dire la nostra ed eventualmente smentire quanto commentato da altri, contribuendo ad arricchire più possibile i commenti e dare sempre più spunti di confronto al pubblico online.